Saturday morning early we started out in Prague. 5 people in a car and 4 on the train. 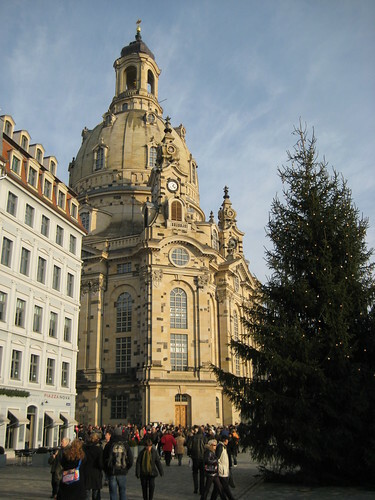 The destination was the city of Dresden in Germany. With Christmas fast approaching a trip was organized (Thanks to Sarah and Michael etc.) 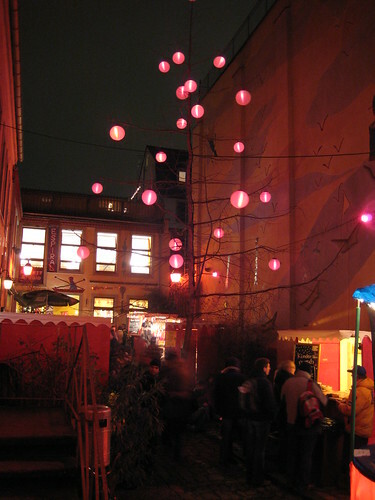 to check out the city and its legendary Christmas Market. 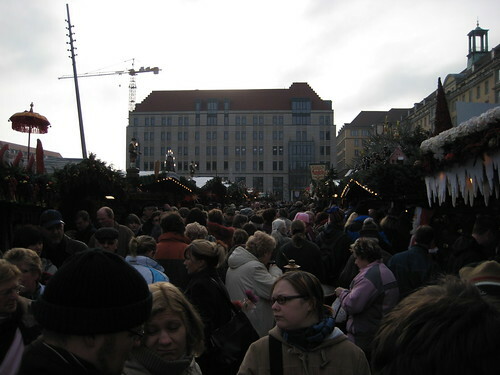 The Christmas market in Dresden has existed since 1434 so its one of the oldest around. 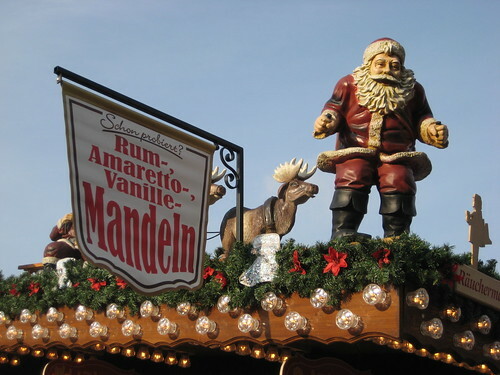 On every corner throughout the city booths offers Christmas decorations and other knick knack but more importantly glÃ¼hwein and all sorts of delicious foods. After the Christmas market we continued on through the city. First through the Altstadt which is dominated by the newly restored Frauenkirche. The church was bombed during World War II and wasnt resurrected until 2005.Very beautiful both inside and out. Neustadt was also where our hostel was so we checked out the shopping, dinning and a drinking here before calling it a day. 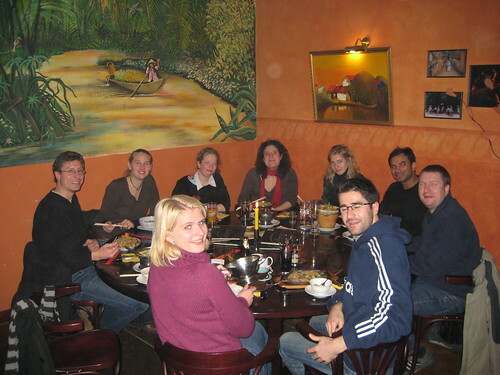 We had a really nice dinner at a Vietnamese restaurant. Here is the whole table (sans me). The next day we walked some more in the town, did some Christmas shopping, saw the church from inside and headed back to Prague. Thanks guys for a nice weekend!